How to calculate PARF value? 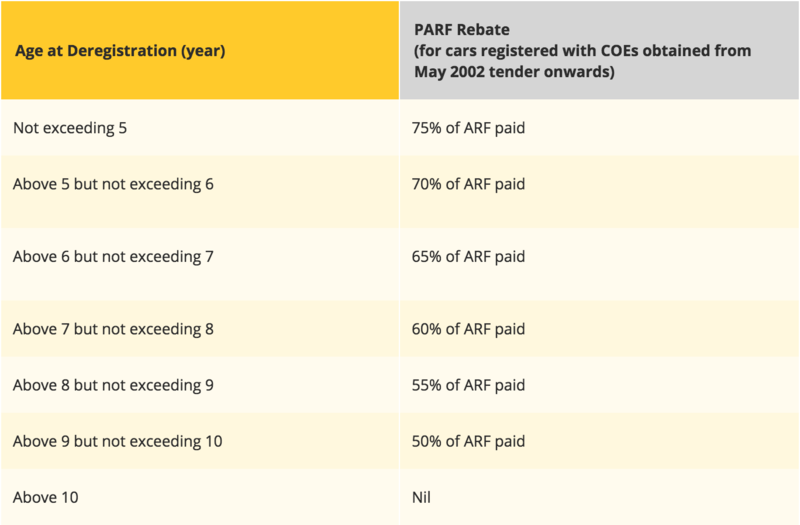 The PARF rebate is computed based on the age of the car at de-registration . The age of the car is computed from the date of its registration in Singapore or its original registration in a foreign country, whichever is earlier. Imported used car registered in Singapore before 1 September 2007 is not eligible for PARF rebate.